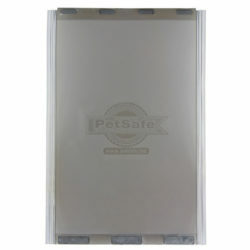 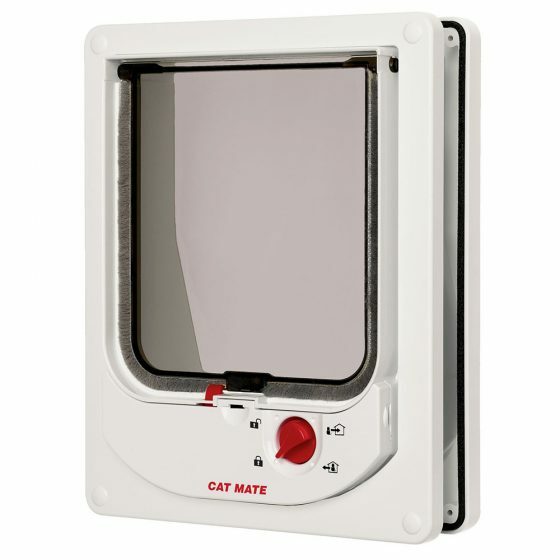 Aluminum Frames with flexible see-thru vinyl flap. 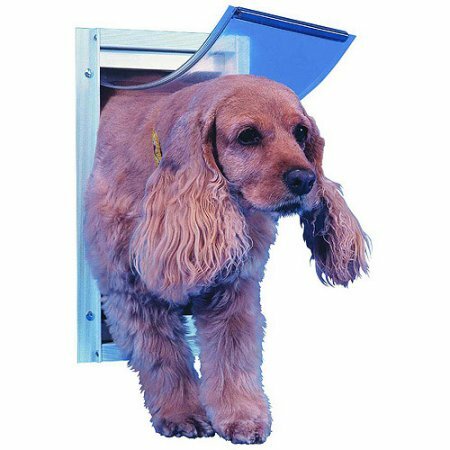 These pet doors are nicely designed. 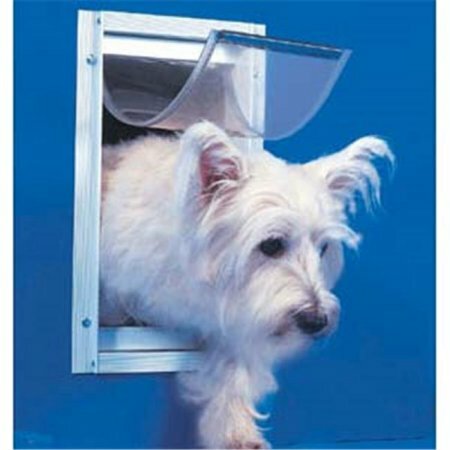 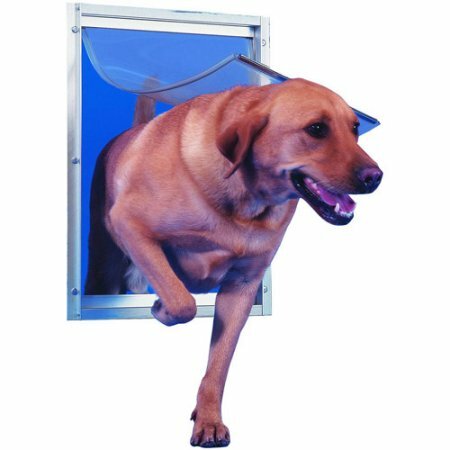 Their aluminum frames with flexible see-thru vinyl flaps let small pets use large sizes with ease. 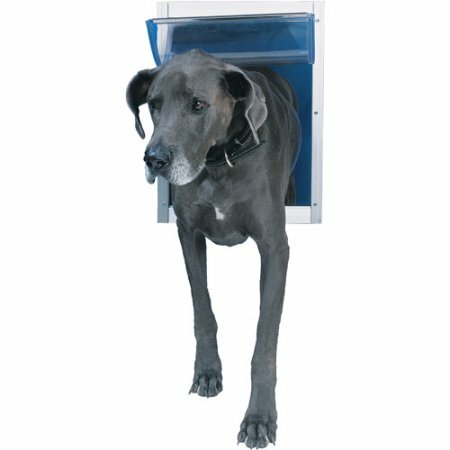 This feature is useful if you have both large and small pets. 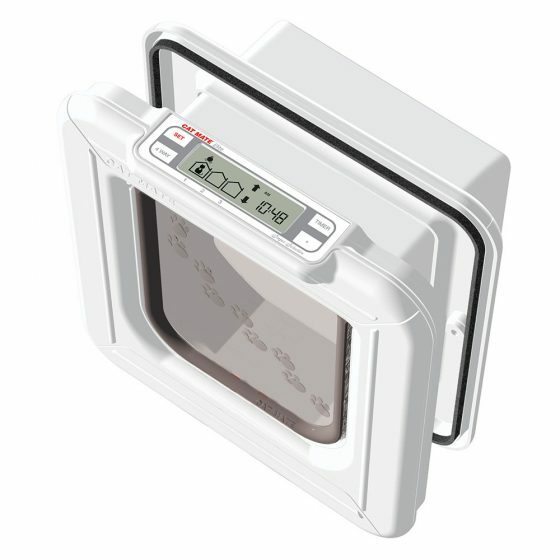 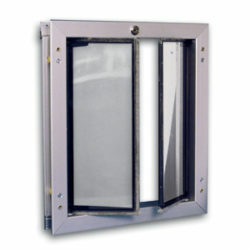 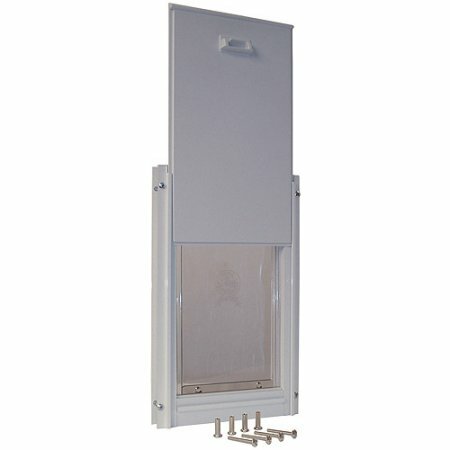 Flaps have Ultra seal self-sealing edges that cling to frames to keep out drafts.